-JORDYN McCOLLUM was awarded the Foundation’s General Fund Scholarship. While at Surratts, Jordyn maintained a GPA of 3.8 (including AP course work) while serving as varsity football manager, wrestling manager, secretary of the senior class, senior class representative and member of the North Clinton Citizen’s Association. Jordyn plans to attend Delaware State University in the Fall. -CIERRA GRIFFIN was awarded the Foundation’s Roland Coluzzi Memorial Scholarship. While at Surratts, Cierra maintained a GPA of 3.4 while serving as a member of NSHSS, senior class president, a cheerleader, a member of the softball team, yearbook editor, SGA member, and school photographer. Cierra plans to attend Coastal Carolina University in the Fall. -JUSTIN BRADLEY was awarded the Foundation’s General Fund Scholarship. While at Surratts, Justin was on the Honor Roll, while playing football (Prince George’s County All Met), basketball (RoundBall Classic All Star), baseball (MVP), and serving as a member of the orchestra, the PTSA and Saggin to Suited. Justin plans to attend West Virginia State University in the Fall. -ASHA McLENDON was awarded the Foundation’s Esther Clifton Miller Memorial Scholarship. While at Surratts, Asha maintained a GPA of 3.48 while serving on the National Honor Society, Elite 8 mock trial team, MVP of the mock trial and debate teams, bocce ball team, Youth Advisory Council, SGA, golf team, and symphonic and marching band. Asha plans to attend George Mason University in the Fall. -PRAISE OSAMOR was awarded the Foundation’s Thomas V. Miller, Jr. Memorial Scholarship. 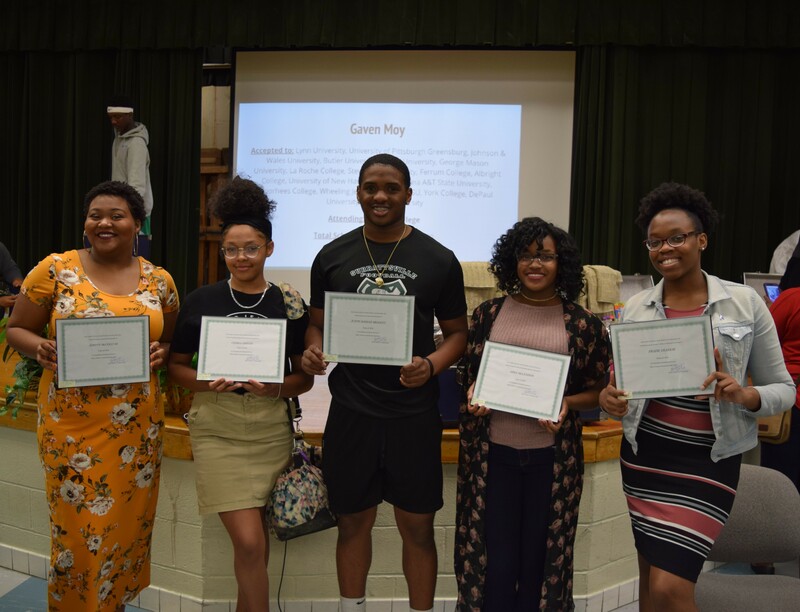 While at Surratts, Praise was on the Honor Roll and Principal’s Honor Roll and participated in the band, the mock trial team, the basketball team, NSHSS, and the Youth Leadership Auxiliary. Praise plans to attend Towson University in the Fall.